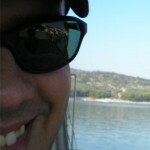 My name is Vladimir Remenar and I was born on 26th of June 1981 in Zagreb, Croatia where I grew up and went to school. Even as a kid I liked poking around with electricity and electrical appliances so a reasonable choice was to go to electrical engineering high school. I attended Srednja škola “Sesvete” high school and graduated as electrical engineer. Afterwards I signed up for college and my choice was Faculty of Transport and Traffic Sciences, University of Zagreb (cro. Fakultet prometnih znanosti, Sveučilište u Zagrebu) where I graduated as postal and telecommunications traffic engineer with a thesis “Designing and Developing of Distance Learning System for Educational Process Requirements of Faculty of Transport and Traffic Sciences (cro. Projektiranje i izgradnja sustava daljinskog učenja za potrebe studiranja na Fakultetu prometnih znanosti) . During that period I attended Information Systems in Postal and Communication Traffic (cro. Informacijski sustavi u PiT prometu) which was held by ph.d. Dragan Peraković. During that class I started working with Dragan Peraković on an e-Learning (e-Student) system that will be later implemented throughout the Faculty’s teaching process. Also, during the work on that project with two of my colleagues (Zdravko Šašek and Kristijan Meić) a paper that we wrote was selected for Rectors reward and that project was my thesis which was mentored by ph.d. Dragan Peraković. Today, I’m working at the Faculty of Transport and Traffic Sciences as an assistant teacher for ph.d. Dragan Peraković. I’m currently engaged in four classes on the Faculty: Information Systems of Network Operators (cro. Informacijski sustavi mrežnih operatera), Terminal Equipment (cro. Terminalni uređaji), Electronic Business Systems (cro. Sustavi elektroničkog poslovanja) and Security and Protection of Information and Communication Systems (cro. Sigurnost i zaštita informacijsko komunikacijskog sustava). I’m an author or co-author of several scientific papers focused on e-Learning systems, securing e-Learning systems and fuzzy logic in closed systems. In my early ages in elementary school, sometime around of age of 12, I started to work with computers and computer programming. 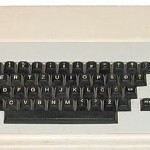 My first encounter with computer was an Orao and my first developed program was written in Basic. Later on I developed several applications in QBasic and Borland Delphi (does anyone even remember Delphi 3?). In high school my friend and I developed our first web page which is still alive an running! It was a time when IRC was at it’s peak and accessing the Internet was possible only with 14.4kbs modem for a sky-high price :) Of course our first web site was developed purely in HTML and CSS. later on I learned to develop using Classic ASP which I’m still actively using for some of my projects. I’m trying to keep up with new and fresh technologies so I’m currently developing web sites in ASP.NET (C#) and CSS (really looking forward to CSS3 and HTML5 standardization!). Today I’m working in Sberbank as a Head of IT Operations Department. I’m planning, testing, implementing and documenting highly demanding projects mostly on Microsoft solutions. Beside my daily job I love to study IT security and forensics.